Indian citruses work brilliantly for desserts. Say the word ‘Ganga-Jamuna’ and most of us probably know that it doesn’t refer to a confluence of the two Indian rivers. Rather, it’s the name of a ubiquitous fruit mocktail which is a blend of narangi and mosambi juice. We are at a time when our shopping baskets are bursting with navel oranges and mandarins flown from different parts of the world, but Indian citruses have their unique flavours that work wonderfully in desserts. For instance, sweet limes or mosambis that grow mainly in the Northeastern part of India are equally sweet and tart to taste. You won’t find recipes for sweet lime desserts easily, but it’s not hard to swap lemon or oranges for this fruit. 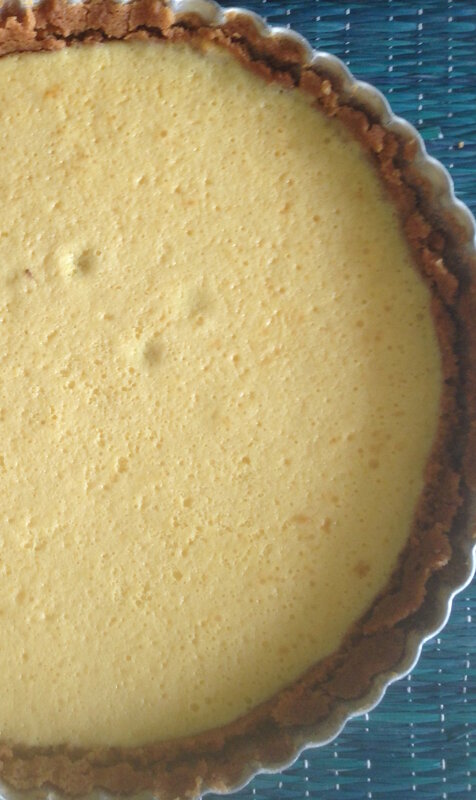 Mosambi — when mixed with nimbu juice — as I discovered, is a fabulous substitute for key limes in key lime pie. And to be honest, no one in my house is a big fan of sweet limes — simply because they are too lazy to quarter the fruit and eat it. But mix it into a pie, and it’s gobbled up quickly. Also, it’s the perfect antidote to the relentless summer heat. I turned to Smitten Kitchen’s recipe for the American dessert, which she has adapted from Miami-based Joe’s Stone Crab. But the recipe more or less holds the same across most cookbooks and is extremely versatile. If you don’t want to add sweet limes, making it with nimbu works fine as well. * Preheat oven to 180° C.
* Blend the biscuits in a mixer until they become fine crumbs. In a bowl, mix the biscuit crumbs, sugar and salt. *Add the melted butter and mix it well. * Use a 9-inch pie dish – I prefer to use the ones with false bottoms because it’s easier to remove the pie and cut it after baking. Spread the crumb mixture on to the bottom of the pie pan and then up the sides. You can press it with a bowl to make it evenly flat. Work quickly or the mixture will become gooier and difficult to spread. * Bake the crust for 10 minutes until it’s light brown in colour. Leave it to cool. * Beat the citrus zest and egg yolks for five minutes until it’s thick and slightly pale in colour. * Add the condensed milk and beat for another four minutes. * Now add the freshly-squeezed citrus juice to the mixture slowly. Don’t over mix, or else your batter will curdle. * Pour the batter into the pie crust and bake for another 10 minutes. 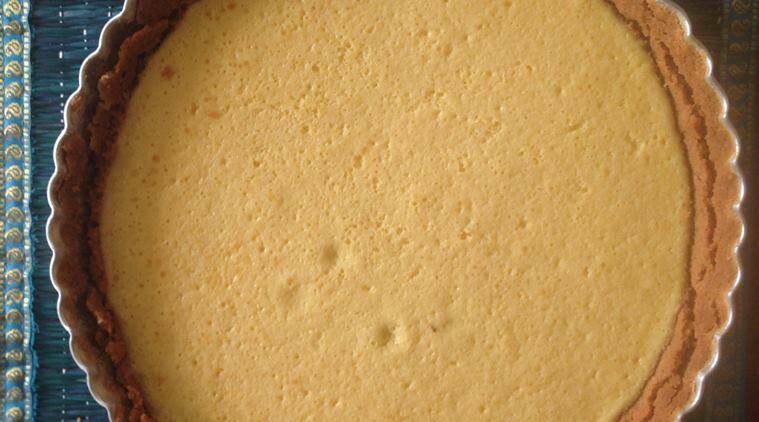 You know the pie is done when it’s set — but it shouldn’t have brown spots on top. * Cool and refrigerate for 4-5 hours. The pie tastes pretty much like key lime, only it’s slightly sweeter and more buttery yellow in colour. * You can serve with a generous topping of sweetened whipped cream or sliced fruits.